I teach to share the wonder of my discoveries and to exchange with my students the wonder of theirs. At this time of year, when all things at school are winding down, it is important to still keep our students engaged. I think sometimes this is a challenge – but I love it! We have this great unit of work for Year 8, that we always want to spend more time on, but run out of room in the year to fit it in in-depth. I have a bank of resources and ideas that I really want to use and get the kids involved in, but time is always my enemy. 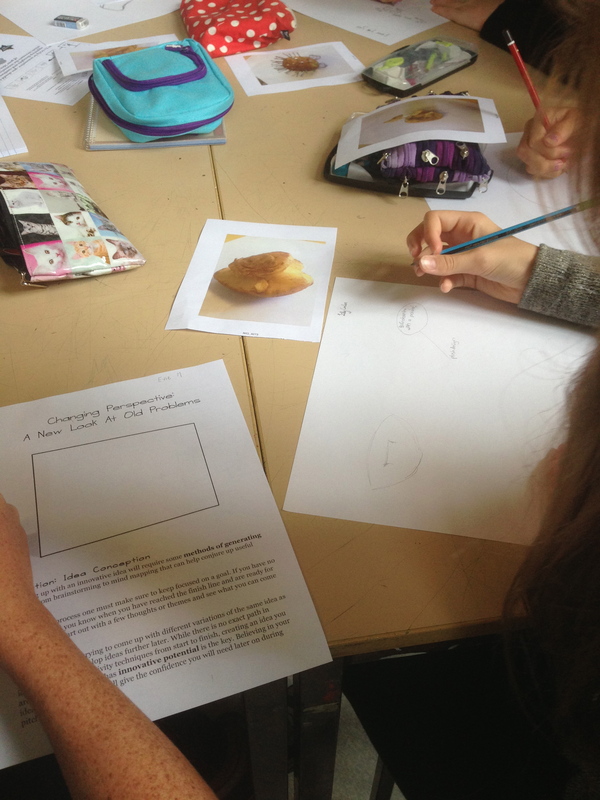 This unit of work focuses on food as subject matter historically and in popular culture. When I tell the kids about this topic, they get really excited. 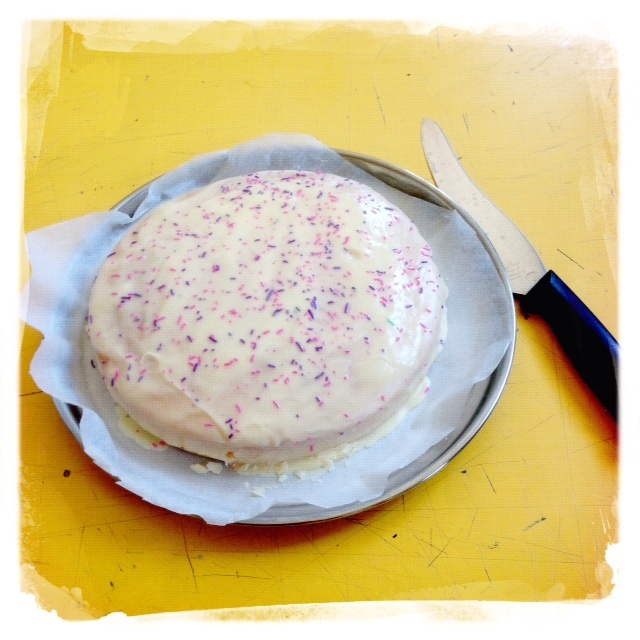 And this year, I had a boy bring in a cake for the class to use as their source image. 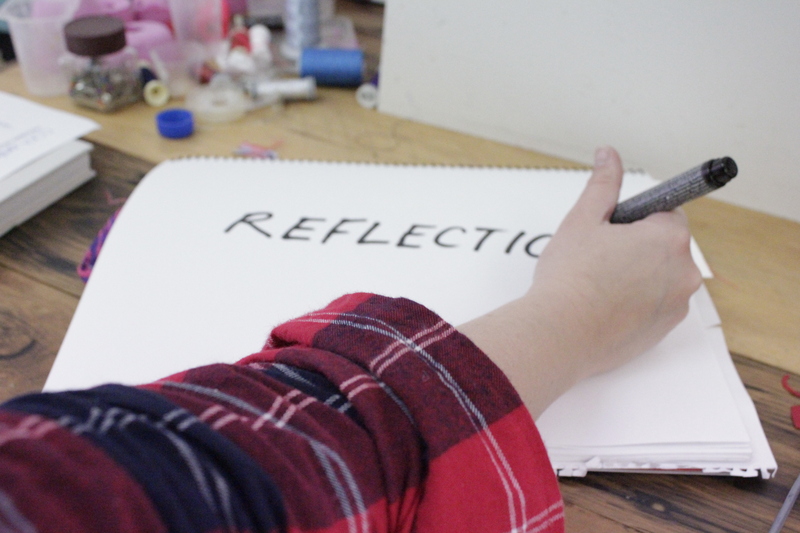 We then do a series of drawings, much like a stop frame animation…. of the cake disappearing. One bite at a time. 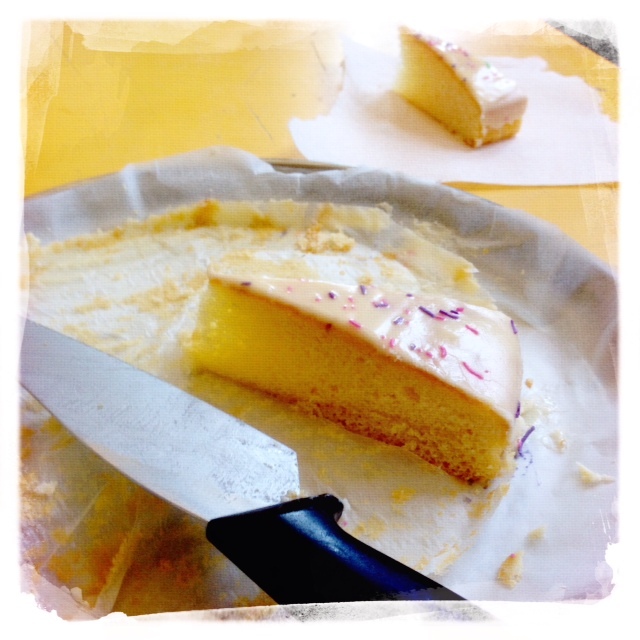 All students have to draw the whole slice of cake first, and I tell them that if one person takes a bite before they have drawn it, then no-one gets the cake. They all have to put their hands up and tell me when their drawing is finished for me to approve them to have a bite and move onto the next drawing. It is AMAZING how quiet the class was! They were silently drawing and LOVING IT! Their drawings we really good and some of the more challenging kids who don’t usually love art, were even into it. I don’t often bribe my kids… but this was a great way to get them involved and keep them engaged! I am at an interesting point in my career…. I love what I do… but I want to do more! I feel like have a lot to offer other teachers and sometimes my brain feels like it is going to explode with all the ideas that I have that I want to try. I have been so lucky with the experiences and opportunities that I have had in my school. I guess I am one of those keen beans who gets asked to participate in lots of different things. This has then led to the development of my own ideas, new approaches to the classroom and changes in my teaching values. Last week I was inspired by two things. These things have made me further think about what I am going to do in the future. I have often wondered why I thrive off being given new challenges. 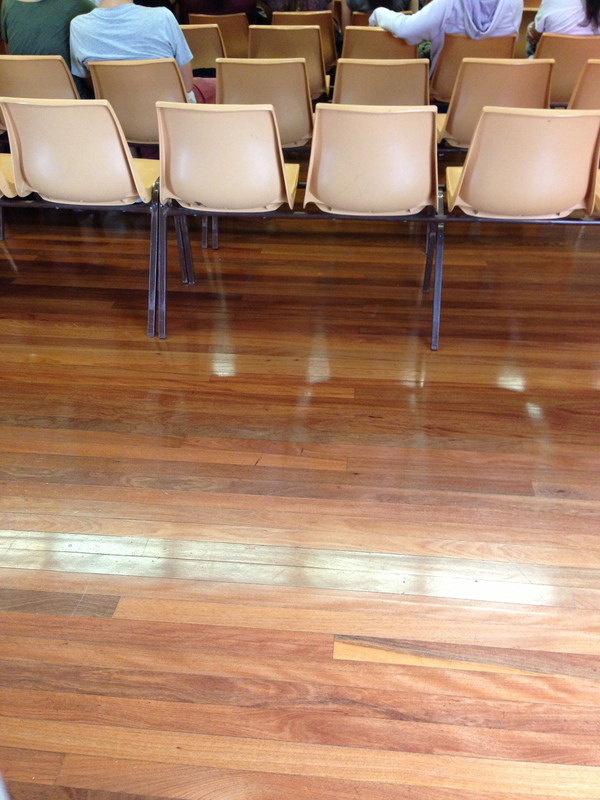 Many mornings I walk past my Deputy Principals office and she stops me… “Jess….. I have this idea…….”. For the past 8 years I have been at Mosman High School, I have accomplished a lot of things and am always busy. It began with a literacy project, then the completion of my NSWIT accreditation and involvement in an Element 5 professional development project for this, then I did my Masters of Cross Disciplinary Art and Design for 3 years, had a studio residency and an art exhibition, have been involved with different technology roll outs, gone to and presented at MANY conferences, worked towards and received the Ministers Quality Teaching Award, done my maintenance of accreditation, have been teaching Year 12 HSC Visual Arts, done HSC marking, have been teaching the GATS class and have gotten engaged and married. This is just a brief summary of my accomplishments – but I won’t bore you with more! After watching this TED talk by Kelly McGonigal, I realised that I have embraced the stress around me – and I LOVE it! It opens my mind and it inspires me to do new and better things. 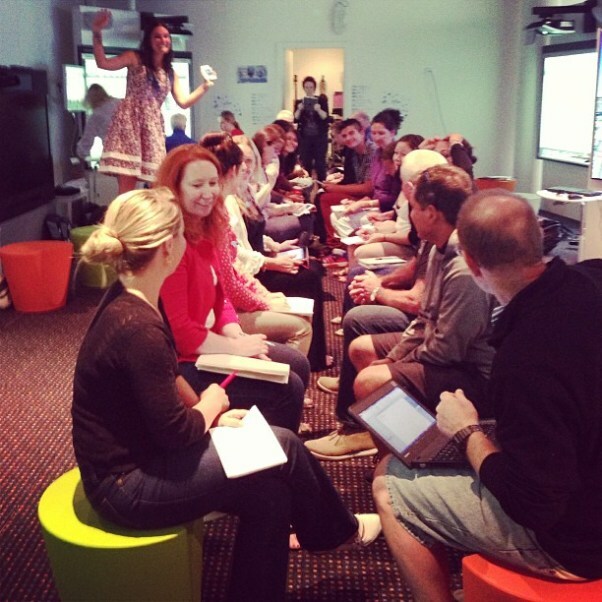 In a staff meeting last week, two colleagues presented on their learning at the GATE Conference. At first I was frustrated and annoyed… and then I was sort of happy. Well, they were focussing on differentiation and some strategies they had heard about at the conference. 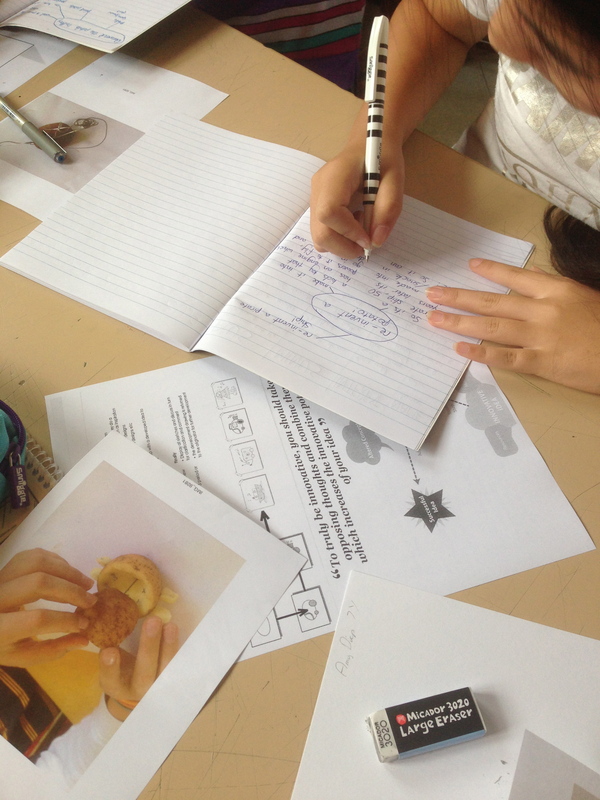 Then one teacher was saying how she had learnt about ideas that focussed on a student- centered classroom. And that she was slowly trying to change her approach to how she teaches, getting students to ask the questions instead of her. This annoyed me at first, because I have been saying this for at least 2-3 years when I present to staff!!!! But then I was happy, because FINALLY, maybe, a shift was happening! 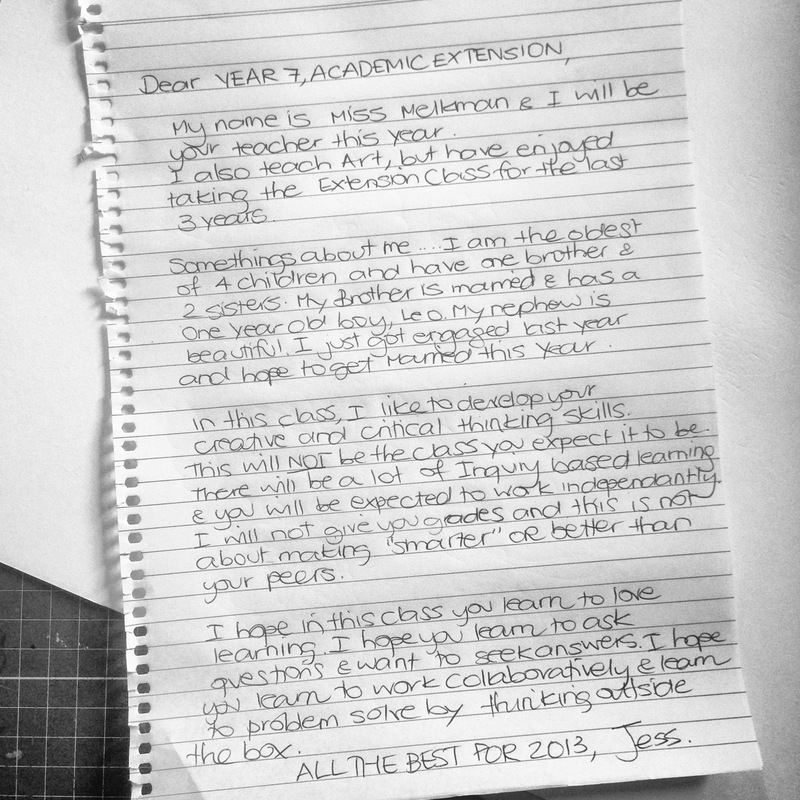 The teacher commented that it takes 2 years for reflecting and change to happen…. and she claimed she was only at the beginning of her journey! I wonder where to from here? I believe that as I teach, I learn. I am inspired to try new things and this has led to some exciting lessons in my classroom. I like to take risks and challenge my students think creatively and problem solve. I have embraced technology and the potentials that this offers. Now I want to see a shift into more blended learning with cross KLA projects and collaboration across schools and across the world. I have researched differentiation, Project Based Learning, collaboration, Games Based Learning, gifted and talented strategies, an array of assessment strategies and creative thinking. So, for the future, I see myself as a leader who wants to make change happen. But this is not as easy as it may seem. What type of leader should I be?? Where can I be most effective? Would I miss the classroom? Would I miss my school? Does the role that I think I want even exist? Would I be a good leader??? These are crashing through my brain right now. I think I can only do so much within my classroom context and see potential for more. To teach is to learn. It has been a few weeks now and we still have the one class enjoying having their own devices in the classroom. We are looking at expanding this by the end of the Year to include all of Year 7 and 8. However, this will have it’s set backs. There are still teachers who don’t really use technology in an integrated way in their classrooms, and the network at school may need a little oomph! But these are things can be worked through. Sometimes I think that it would be better to have no choice of device, and support teachers better with one system that can then be managed and monitored and have professional development modelled around it. I don’t have a preference for a device I guess, but do like the workflow of iPads. This however, is not a device that would last the students through the whole of high school… as by the time they are in senior school, they would definitely need a laptop instead. And really, my philosophy of education is not about the technology, but about the teaching pedagogy. As part of the implementation of BYOD, I had the GATS class do an assignment on what they thought it would look like in our school, and how lessons can be transformed with technology. They presented to a panel of myself, the principal, and two kind parents who are a part of the P&C technology committee. While their presentations were great (albeit some had WAY too much text on their slides that they proceeded to read), I was saddened. Saddened that they still believe learning to look like the teacher is at the front of the room, and they have to take notes and do tests. It is so embedded in them to think this, that even when told they could make the changed lessons anything they wanted, they didn’t know what that could look like. I watched Sir Ken Robinson’s talk on TED on the weekend again, and hope that I can at least change the landscape of education in my context. How do you think you will bring the LEARNING REVOLUTION to your context? It has been over a week now that the students in one Year 7 class have had their devices in the classroom. When I realised that there were so many different types of devices being used, I told the principal that there needed to be a meeting with the teachers to explain the different platforms and capabilities. I also felt that I should encourage them to experiment with new approaches to their lessons so that they were more student-centered and driven by the access to technology. Q. What do you do when they are playing games? Q. How can I get the PDF of the textbook onto an iPad? Q: Are we here because the parents have said we are not using the laptops in class? I gave them a sheet that simplified the tools on each device and summarised what the students had. The epic tech dude and my twitter PLN helped us to figure out why the PC’s weren’t connecting to the schools DER wireless network. Because we didn’t give any specs to kids about laptops, and perhaps we didn’t realise at the time…. but if students are to have a PC – they need their wireless card to run at 5GHz…!! Many PC’s seem to have 2.4GHz cards and these will NOT connect to the network. There is a way to get a USB adaptor that converts the 2.4 to a 5GHz – but of course this is not ideal. The kids are total keen beans and are loving the freedom having their own device has. I was amused in class the other day, when I saw three boys huddled around some papers. I looked and saw that it was a 5 page worksheet stapled together. I asked what they were doing. ME: See, this is why I think technology can make class more engaging. You guys are never going to remember this stuff if you are just filling in a cloze passage and a table. What if we googled what was on the sheet. ME: Look at this, heaps of sites that can explain this content to you…. At this point I walked away, shaking my head. 3 minutes later, one of the boys came up to me and asked for my help. He had found a tutorial online relating to the content on the worksheet. He was following the steps, and inputting data into Excel but needed help making it into a graph. I showed him how. ALL 3 BOYS: WOW! That is so cool Miss! ME: Yes it is… and how much more have you learnt now….!!!! After 4 years of the Digtial Education Revolution (DER), and the governments commitment to giving all Year 9 students a laptop to keep until Year 12, it is all coming to an end. Now that pedagogy’s are shifting, there has been equal access to technology between rural and city schools and students are all excited to be given a new learning tool – the funding has stopped. We all knew that it would end, but we were enjoying the ride too much. Realistically, now that the revolution has started, it is up to schools and educators to maintain the momentum. I know that many Department of Education and Community (DEC) Public schools are seeking solutions to the gap in technology that is imminent. Does each school fund the continued access to laptops and computers? Or do we rely on the school community and parents? At my school, we have decided to trial BYOD. One class in Year 7 (My gifted and talented class) are the experimental class. Parents are keen to support it, so we have jumped in the deep end. We have decided to let the students bring whatever device they like. A few parents from the class have been calling me and asking for my advice on which device to get. I have given them my opinion and are letting them make their own choices. 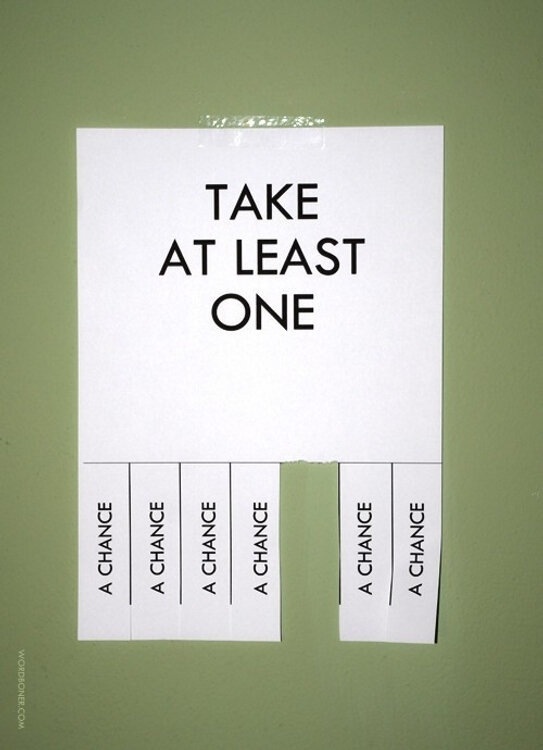 Over the next few weeks I will evaluate how I think this has worked in our school…. Just little old me, being a teacher, but loving technology and learning! To drive the students and get them ready to have BYOD in the classroom, I have given them a great project. They have been researching and comparing devices and prices, learning about digital citizenship and figuring out the problems they may face. I also want them to be pushing their teachers to use these devices (after all, their parents have invested in them to be used!) SO the students have to redesign a unit of work based upon something they have already done, and see how using technology would change it. I want them to present to the key stakeholders: parents, principal and teachers on a panel. They are super excited and really keen to be using their new ‘toys’ in the classroom. 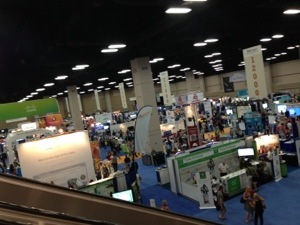 Let’s see how this goes…..
And so ends my first ISTE conference! I have had a blast in San Antonio. Not only have I hung out with 15999 other like minded teachers, but I have also hung out with my edugeeks friends from Sydney; Monique, Bianca and Ashleigh. I have been thinking for a while about the value of teachers teaching teachers as professional development and how much I love it. Hearing about real experiences with real ideas makes it much more valuable. I love sharing what I do with teachers!!!! Be it my successes or my failures…. I feel that I have so many great teaching ideas that are trapped lifeless inside my head. I believe that I have a creative mind and want to do so much more in my classroom. Ironically, I am restricted* by my subject area of Visual Arts. I am dying to do more cross-curricula projects, but many of my colleagues at school are unsure about this concept in their classrooms. 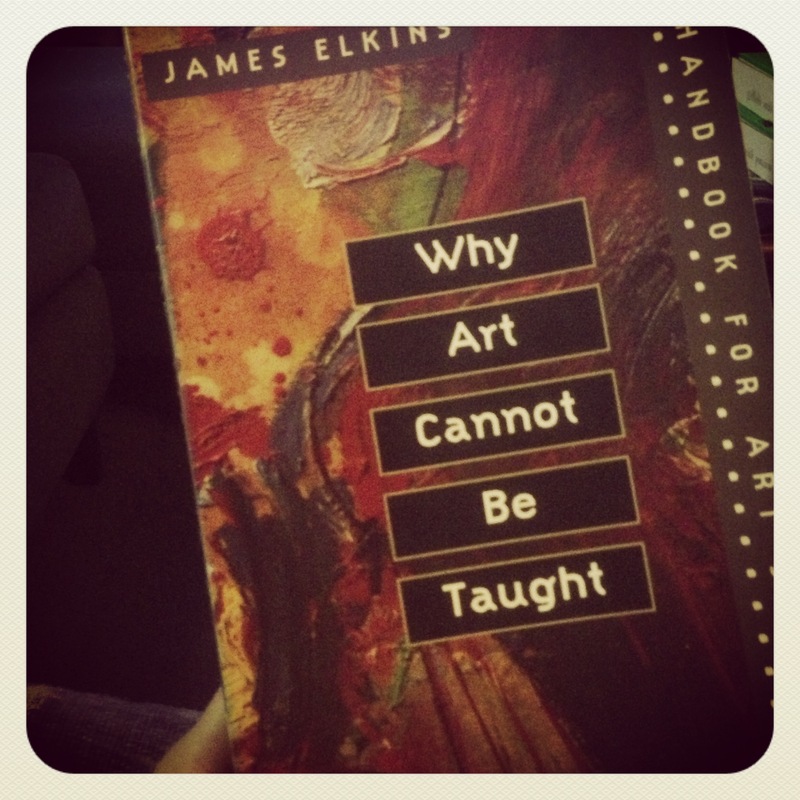 *restricted may be too harsh- I do what I want in my classroom, and achieve the Art outcomes at the same time…. I just get excited by English and Science and History and how they can become blended in my classroom. This is why I like to teach teachers. I can share these many ideas and engage in a dialogue about how to make them happen. By talking about my success, other teachers reflect upon their classrooms practices and realise that perhaps other things are possible. 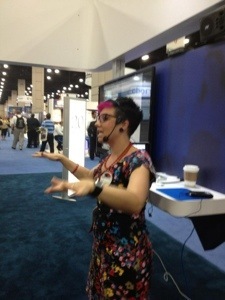 Presenting at ISTE as an international presenter was certainly a highlight for me. I did a mini-workshop that participants had to pay to come to. 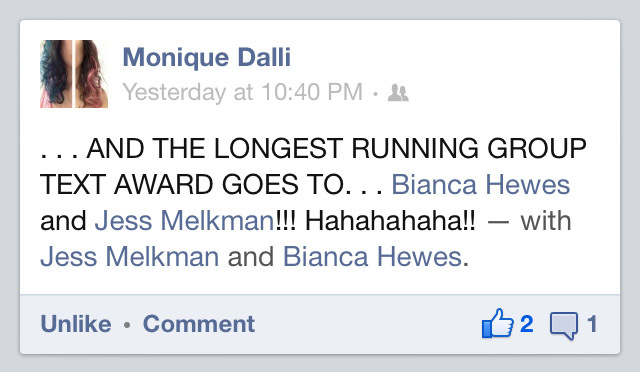 This meant they really valued what I had to say. They read my workshop description and believed in my ideas. (I sure hope that I delivered!) 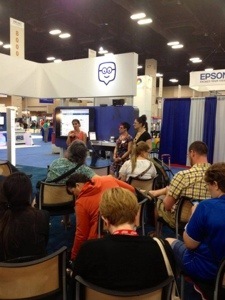 I presented on collaboration in the classroom and discussed ideas for how technology can make this run more smoothly. I also gave suggested rubrics and classroom management strategies to make it feasible. I have also recently done two weeks of tutorials at Sydney uni for the M.Teach course. This was exhausting but great. A room full of potential and keen pre-service teachers who want to learn about the art of teaching. Over the last 14 weeks I have had a Prac Student under my supervision. While giving him feedback on his lesson plans and classroom management, this has also been a great tool for me to reflect upon myself. Some things that I was suggesting to him reminded me to keep doing these things too. I believe you have to practice what you preach! Watching as he built relationships with students and really blossomed as a teacher made me really proud. Don’t get me wrong- he already had an amazing body of knowledge and excellent ideas for the classroom, but as a teacher teaching a teacher, it was an invaluable experience. He was so good infact and I was so confident with the teacher he has become, that when he finished his prac, and I was heading overseas to ISTE, he then stepped in as my casual teacher and took my classes for a block!!!! All of these experiences lately make me even more excited to make connections with teachers and share my ideas. I want to be inspired by teachers who are as passionate as me, and I want to help other teachers to build their own classroom practices so they can have as much fun as me in their classrooms! Yes…. That is A LOT of acronyms! Amongst these acronyms are some popular slang terms, some short hand terms used for HSC projects… and labels for different teaching pedagogies or strategies that are ‘trending’ at the moment. I say ‘trending’, because there seems to be an increase in teachers using some or all of these strategies, just because they are the most talked about thing at the moment. While I think that it is great that teachers explore different ways to engage their students: Is using a concept once because you heard about how someone else used it, really make you an expert? And how do you measure success if you only dip your toe in it? I am not saying that I am not a culprit of this. I have researched and read about many different pedagogies but I am not claiming to be experienced in any or all of them. When I think about my teaching over the last few years, and my conversations with my peers on Twitter, I think that I have taken elements of the things that I like from many different sources, and applied them to my own context. Over the holidays, I was privileged to be a part of the Project Learning Swap Meet organised by Bianca and Lee Hewes and Peter Mahoney. Let me tell you… the passion that exudes from these people and the amount of excitement that was generated during the school holidays and on a Saturday, was incredible! The reason why I mention this when talking about LABELLING the teaching that we do, is that I believe to be able to take that label on board, you have to have been taken over by that pedagogy, believe in it so much that you are living it and breathing it. Then, that label becomes yours. 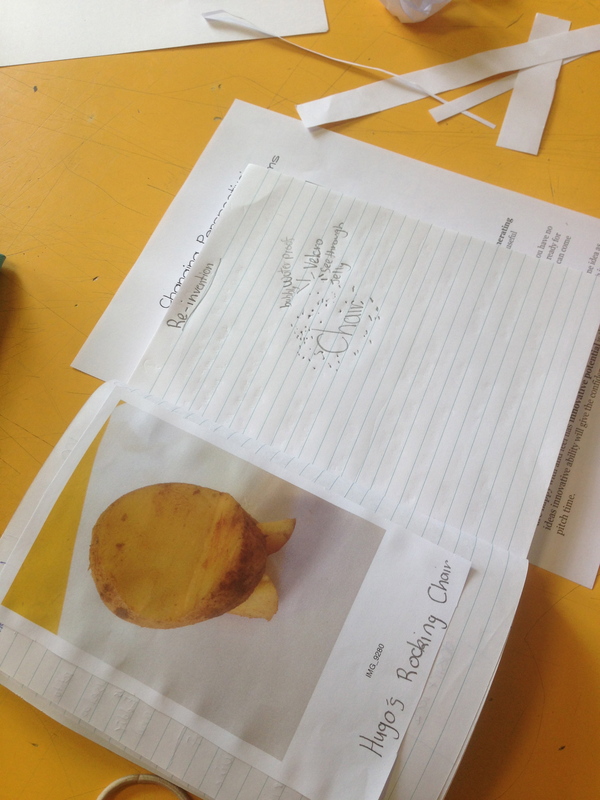 I have learnt so much from Bianca and her mind and the way she has used Project Based Learning in the classroom. ALL of her topics and syllabus outcomes are taught this way. 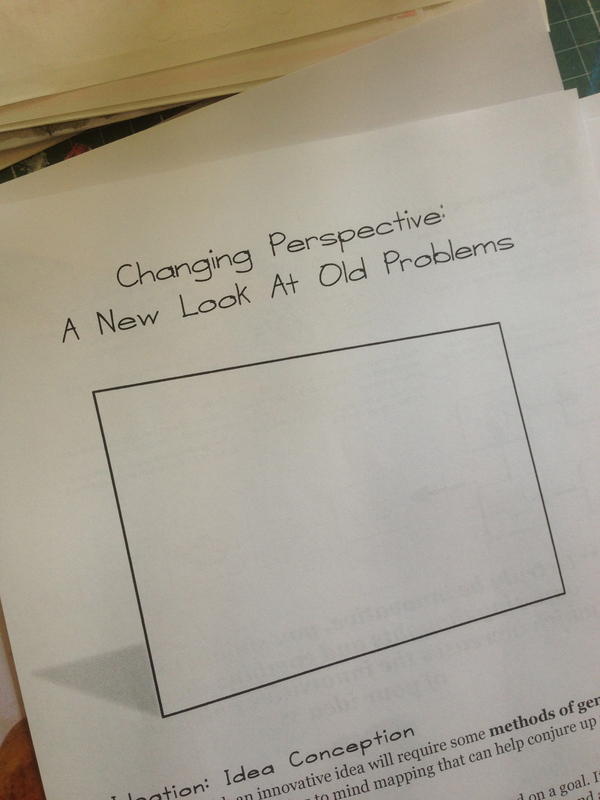 From Year 7 – 12. All the assessments that her kids produce are real products. Not some made up classroom thing. She always seeks a real audience and real experts to guide her students learning. Bianca is not following a trend, she has created this trend! And because I talk to Bianca about her ideas all the time, I have become inspired by her teaching process and applied some of these ideas to my classroom. 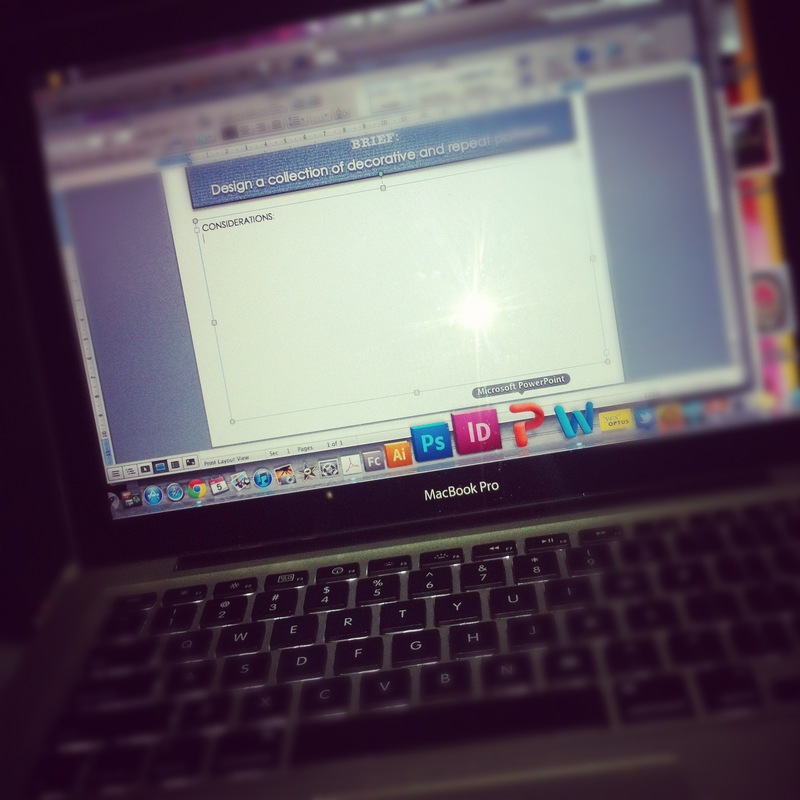 But because I use them, should I label myself as a PBL teacher?? But because I use them, should I label myself as a user of SOLO?? Over the last few years I have designed a few games as units of work to engage and inspire my students. I developed websites that allow the students to work from level to level to achieve different learning outcomes. As the level gets higher, so too does the expectations of the student. One was for my Gifted and Talented class, a topic about Conflict, where the students journeyed through Conflictus. The other, a Visual Design unit of work about concept art and game design, where students journey through an Unchartered Land. But because I use them, should I label myself as a GBL teacher?? Let’s just think about these labels before we put our names to them…. If you want to take that label, be true to it. Otherwise, be like me, use what works for you… apply it to your context. 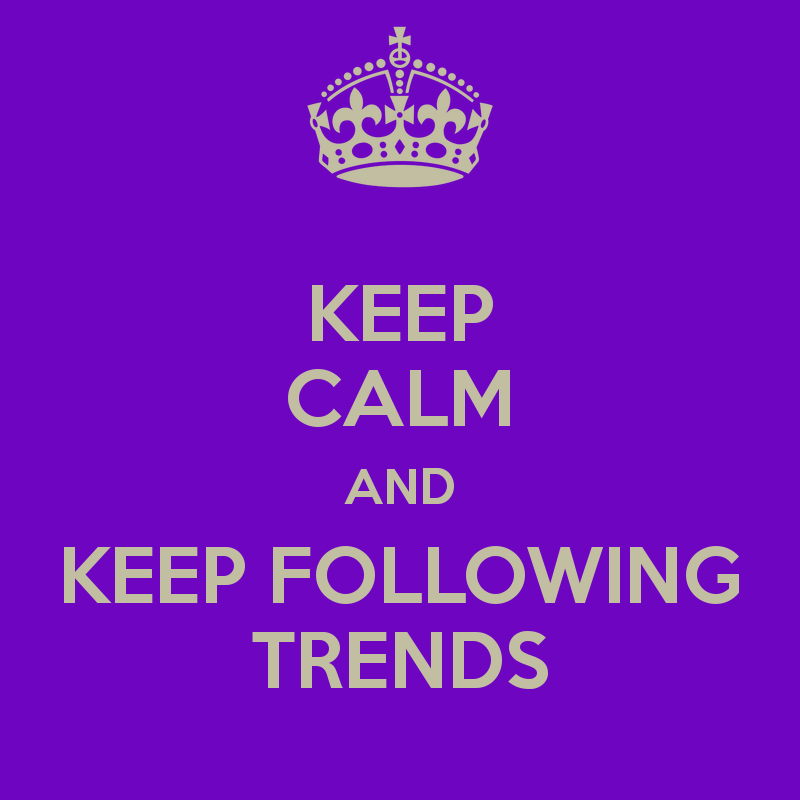 Don’t follow a trend for the sake of it….! Just love your teaching for what it is…. and keep up with your 21st Century Learners!!! 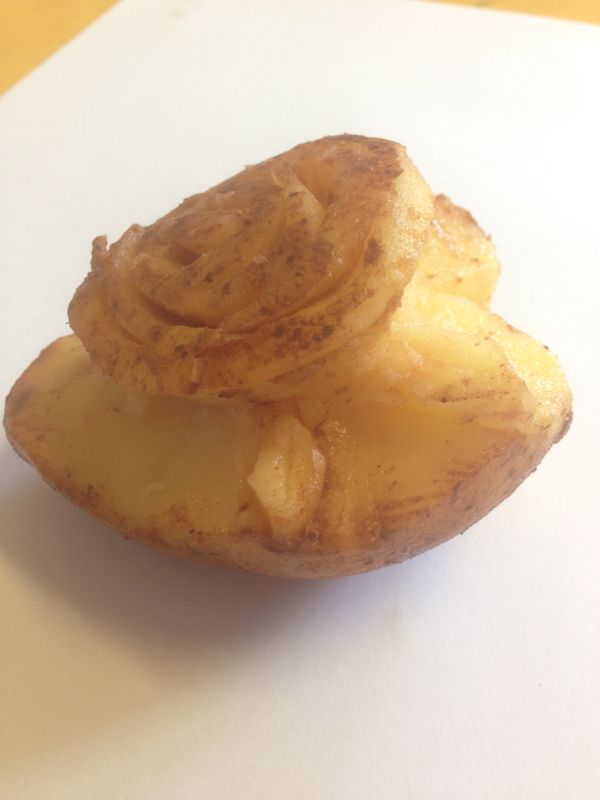 Q: Why do potatoes make good detectives? A: Because they keep their eyes peeled. 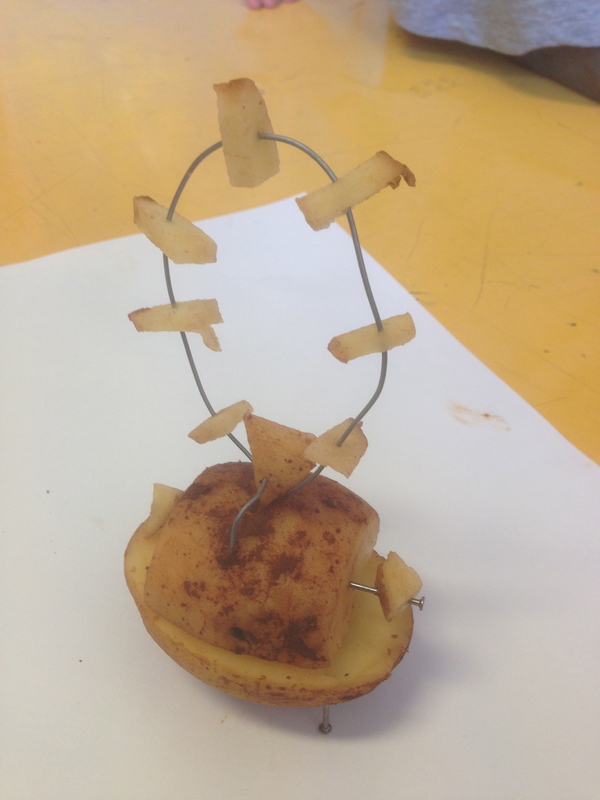 But what does a Potato have to do with Creative thinking? 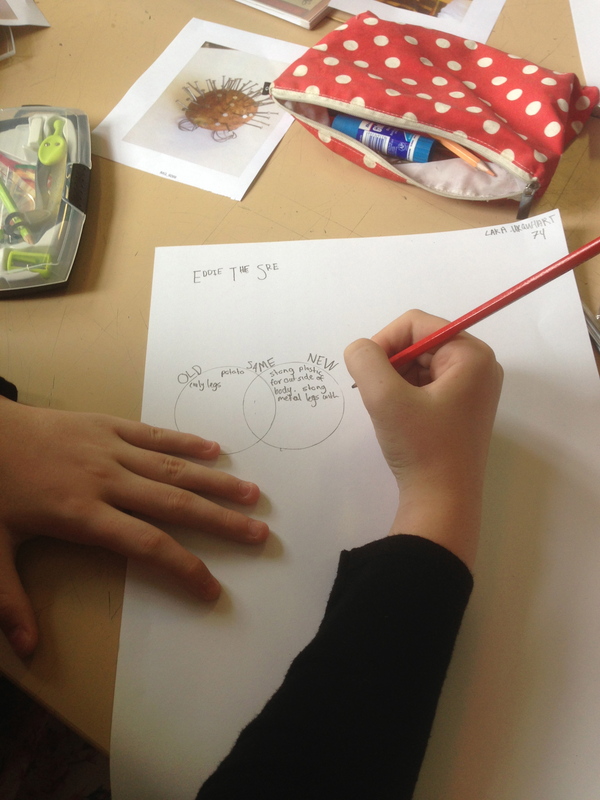 We need to first understand what creative thinking is…. In Year 7, we have a streamed class for our Gifted and Talented students (GATS). This class have sat the selective schools test and are seen as ‘bright students’. They have one less Maths, English and Science lesson and have 3 periods a week with me, where I don’t have a syllabus that I have to follow! It is a dream! To introduce the course to them, I explain that I will not be giving them marks at all, but will be teaching them to love learning. Here is a letter that I wrote to them to explain this…. 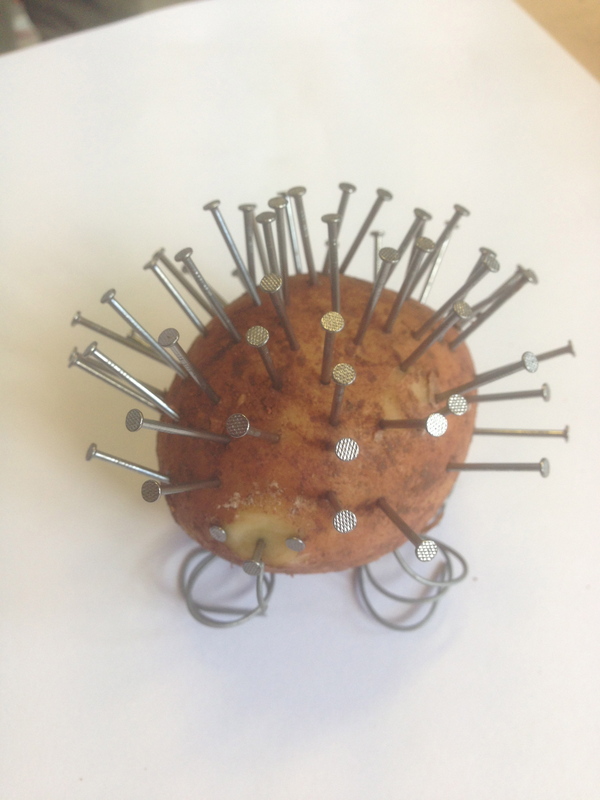 Once they can see my vision, I pull out the potatoes. I read about this once when researching creative thinking tasks, and have done it as my first lesson with the GATS class for the last 3 years. 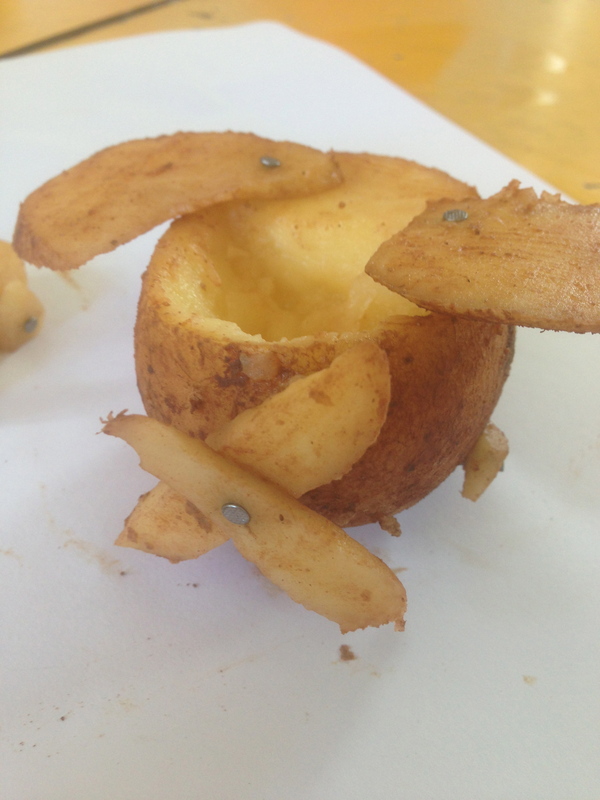 It never bores me… and I love seeing the look of confusion on these kids when I hand them each a potato. 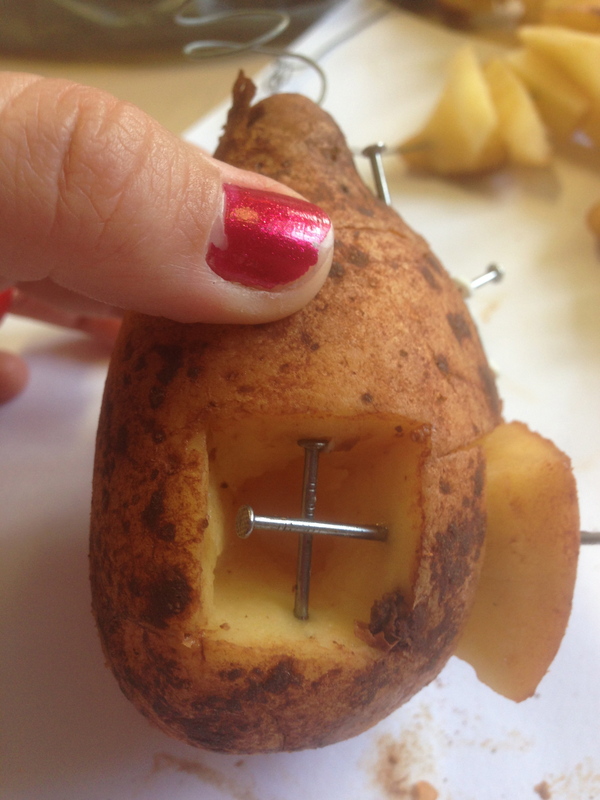 Invent something with the potato. They look at each other, down at the potato, then back at me. Then collectively their hands all shoot up in the air. No, I say, I am not answering any questions. No, I am not giving you any boundaries. 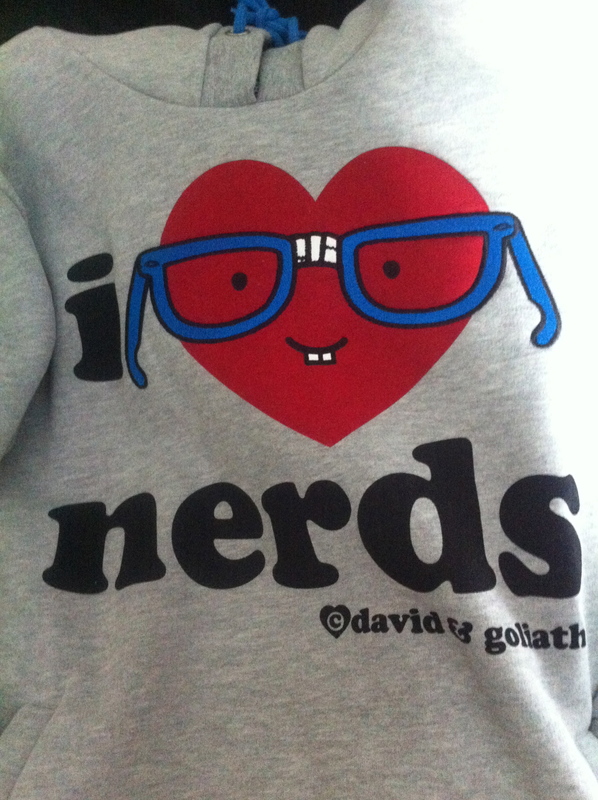 Oh, and they do! It never ceases to amaze me where they take this. 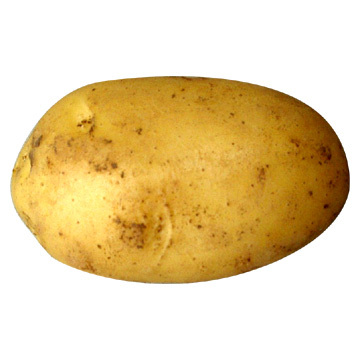 Some literally use the potato for what it is. Some just use it as a material. Some break all the rules. 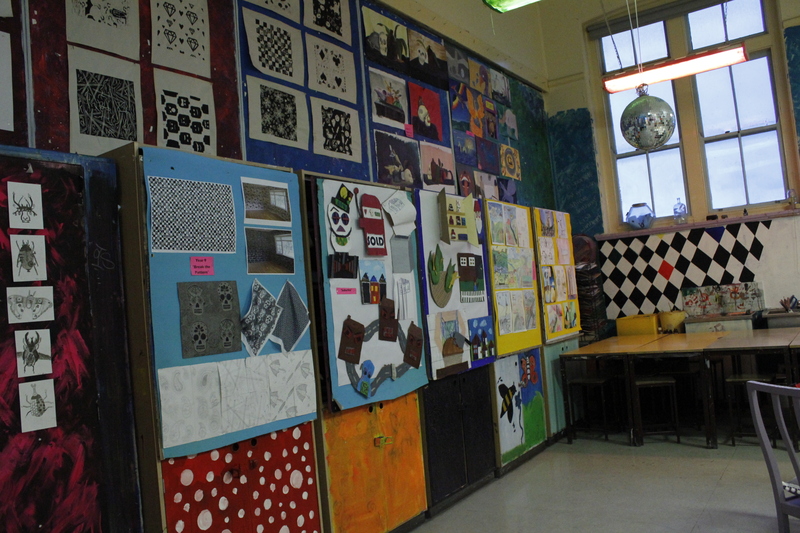 Here are some examples from the Year 7’s this year. The next part of the task is designed to get students to stretch their imagination even further. 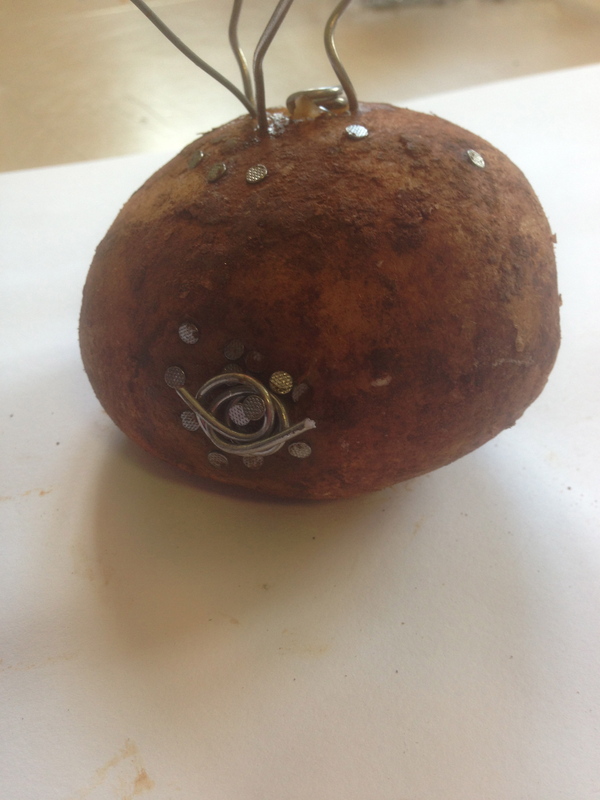 After each student spoke about their design and the class wrote a PMI (Plus/Minus/Interesting) analysis for each, I handed them someone else’s potato to RE-INVENT! 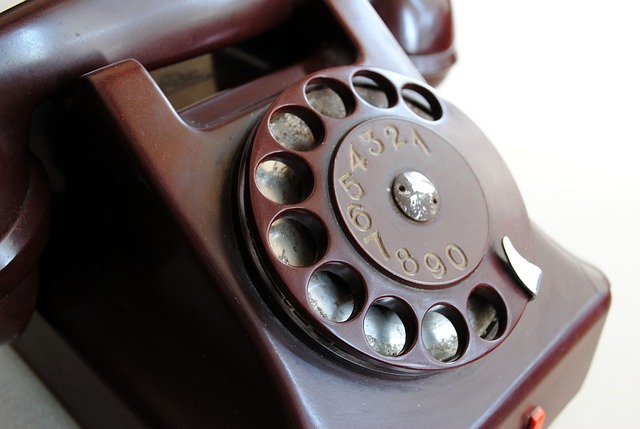 I explain that it is 50 years later and technology has changed. You must develop this design considering there may be a change in materials or need over this period of time. Jaws drop and they look at me as if their ideas couldn’t get any better….. I love to watch as their brains tick over new ideas. It was interesting to see how each student then approached the problem. I didn’t scaffold HOW I wanted them to do this, and they all worked in their own way. I do this on purpose so that they don’t fall into a conformed way to think. It requires them to draw their own conclusions. It also means there is not RIGHT way to do it. And really, I can’t know what the outcome is going to look like. When I walk around the room, I was blown away by the different approaches to innovation. 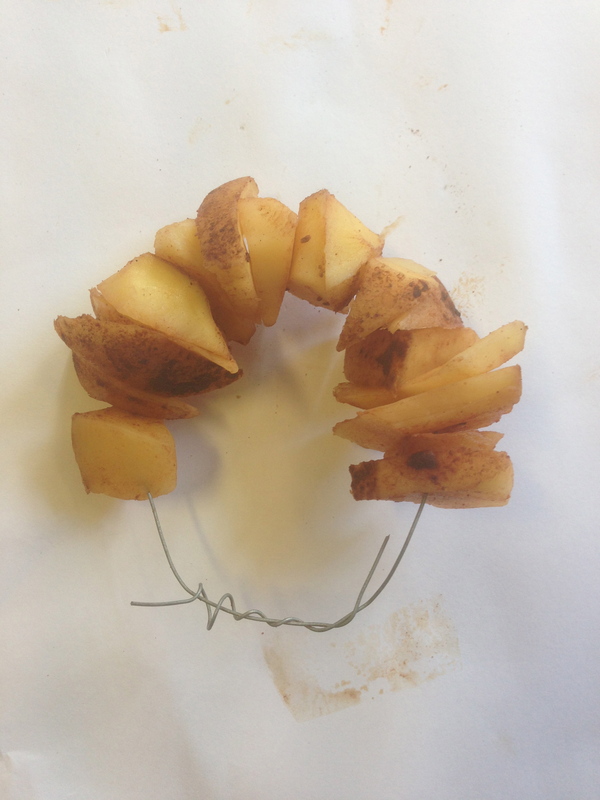 While we only have a week to complete the FOOD WASTE CHALLENGE, they were very keen to give it a go. 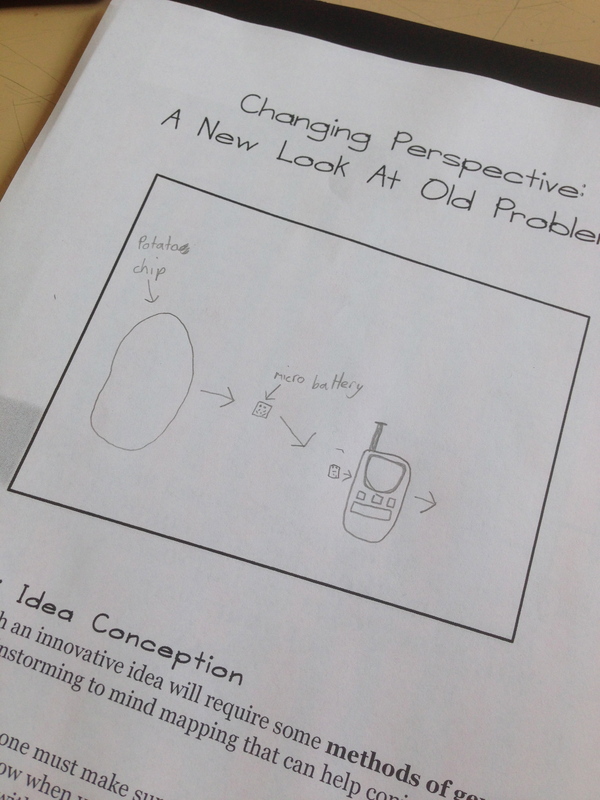 How do you develop your students creative thinking skills? In the Australian Curriculum, students develop capability in critical and creative thinking as they learn to generate and evaluate knowledge, clarify concepts and ideas, seek possibilities, consider alternatives and solve problems. Critical and creative thinking are integral to activities that require students to think broadly and deeply using skills, behaviours and dispositions such as reason, logic, resourcefulness, imagination and innovation in all learning areas at school and in their lives beyond school. I like to be connected. It is increasingly easier to share your everyday comings and goings with the virtual world and it is rare to feel alone. Using Instagram, I feel a sense of community with many like minded people, also sharing photos of their daily lives. 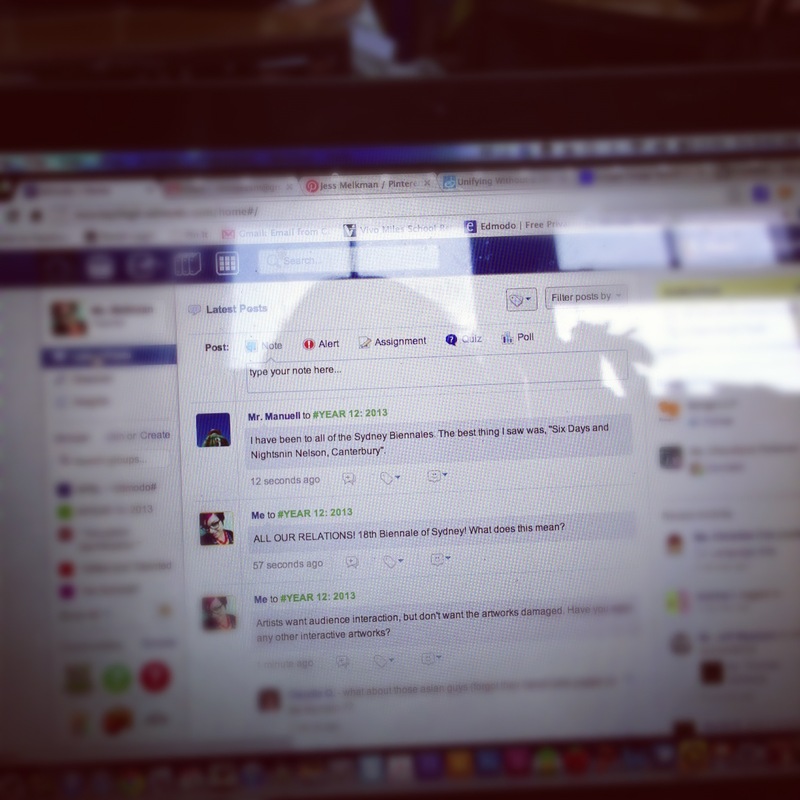 Twitter is where I share my teaching ideas and Facebook is a more personal space for me and my close friends. In my own little world, I have noticed how this sense of connectedness makes me so happy. And how it has helped me to become a better teacher and a better friend. I have my own little ‘communities’ or ‘networks’ that provide me with constant laughs, challenges and ideas. Besides my partner (who is amazing), my colleagues and my uni friends, there are 2 groups of people that I talk to everyday… and without those conversations, I think I would feel stifled. 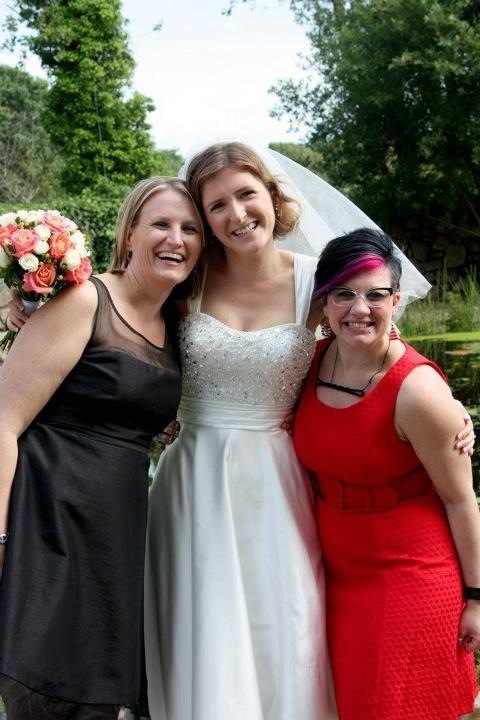 Jude, Lorna and I at Lorna’s Wedding in Wales, July 2012. After training on Mondays and Wednesdays, we have breakfast together. This gives us the chance to debrief and gather our thoughts. As friends and work colleagues, we can talk about anything: from assessment tasks to weekend adventures. Having such a great support network at school is seriously undervalued. I know not all teachers are lucky enough to have friends in their workplace, but I can tell you, without these ladies – some days at school would be more difficult. We met in the most random way. While we had already been connected on Twitter, we had never met in real life. Until Edmodo brought us together. 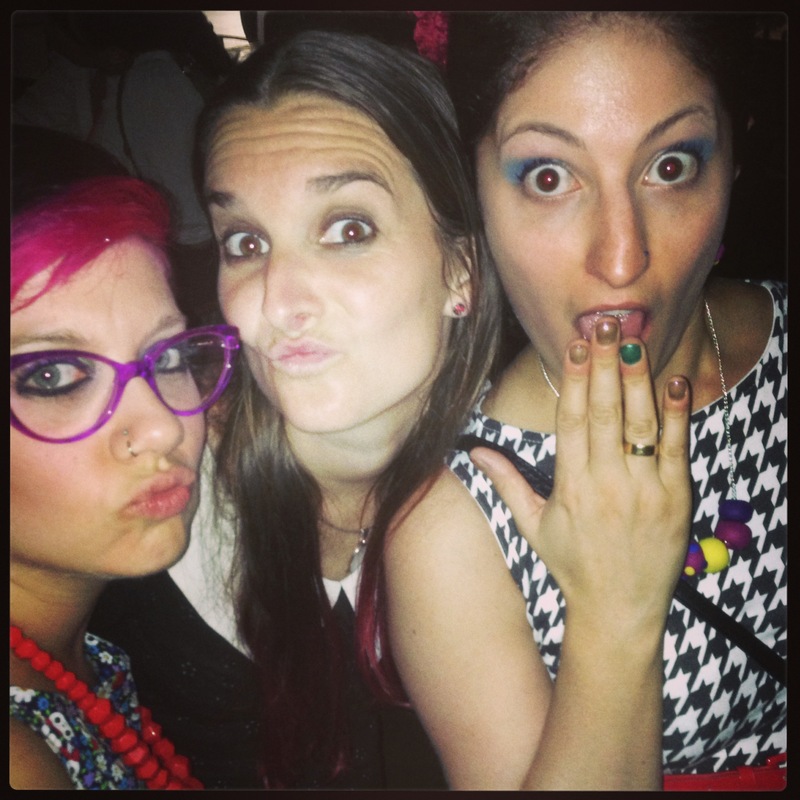 All three of us were selected to present at EdmodoCon 2011 – an online Virtual Conference. In preparation for the conference, we thought it would be a good idea to meet up and discuss what we were going to present. The random thing was, we all lived a suburb away from eachother and were able to meet. (Edmodo had no idea about this – they just thought we were all from somewhere in Australia!!!!) This random meeting developed into great professional relationships… and awesome friendships. I think the highlight of this connection has been the EPIC group SMS that we have been sharing over the last month or so. These ladies are great to bounce teaching ideas off, have a laugh and reflect upon our day in the classroom. With all these connections in my everyday world, I started to think about how important it was to replicate this dynamic into my classroom. What does it look like in classrooms? What does it look like in assessment tasks? 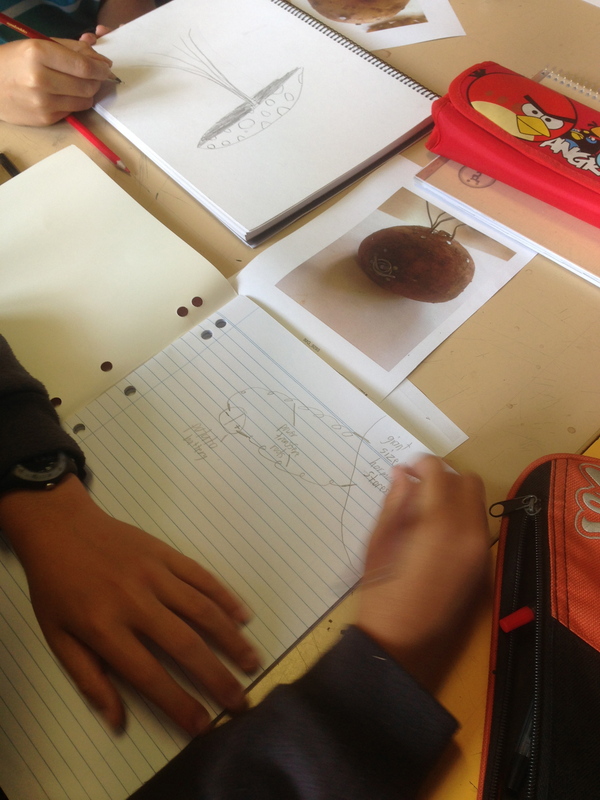 Lesson activities rely on the application of school knowledge in real-life contexts or problems, and provide opportunities for students to share their work with audiences beyond the classroom and school. Tasks apply school knowledge in real-life contexts or problems, and provide opportunities for students to share their work with audiences beyond the classroom and school. Modelling the way I connect using Social Networks, I have tried to develop this sense of collaboration in my classroom. Building up the students understanding of how to communicate and share with their peers as a community. But I wanted to take this a step further. This year I was allocated 3 Year 8 classes. I thought I was going to go mad if I taught the same thing three times in a week. I had to change the programme, not too much, but just enough, so that while it was more exciting for me, it would still cover the outcomes that the other teachers were covering. I reflected upon the way I connected… and how it had opened up my eyes and has helped me everyday to understand my teaching practice more. Why not bring this into the classroom??? I reached out to my Professional Learning Network and asked if any teachers here or overseas would want to connect with my Year 8 classes who were studying the topic of ‘The Suburbs’. Bingo! There was a teacher from Alabama who said yes… and from there my idea developed. Inspired by the blog/photography project 52 Suburbs, I wanted the students to not only look at their suburbs and their small worlds, but compare this to other students experiences. What am I going to teach then? I decided that I wanted my students to study the artists we would normally study, but instead of writing about them, they could make little videos that we could share with the class overseas. This will be particularly interesting, because the two key Practitioners are Reg Mombassa and Lin Onus. Mombassa is an Artist who uses many Australian icons in a humorous way. Onus uses his art to reflect upon his identity as an Anglo Saxon and Aboriginal living in a white community. I also wanted them to make art to share with this new audience. While they are sharing images of their different communities using Edmodo, I thought about how cool it would be to be PenPals with these overseas students. Going back to old school letter writing to compare their lives on the other side of the globe. So, the students are going to design their own postcards and send them to this new connection overseas. Check out the outline for the unit of work. 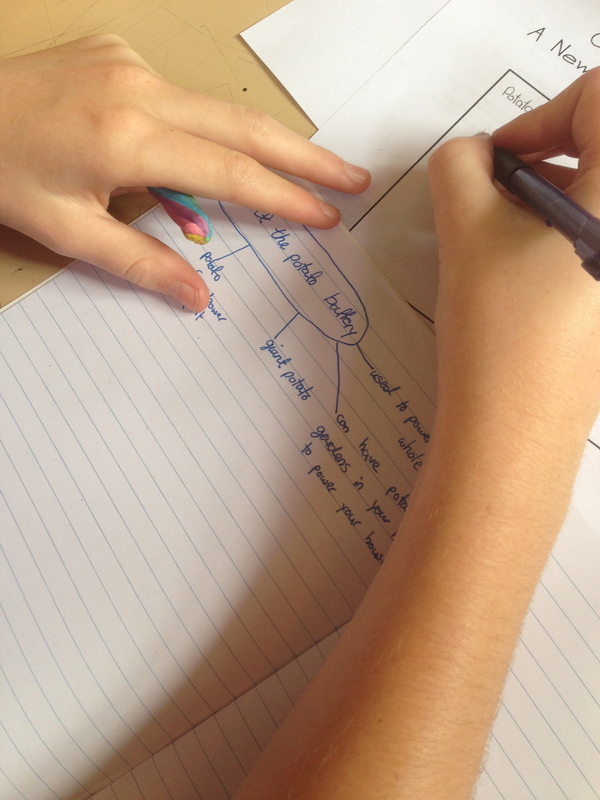 I have used Bianca‘s PBL model to nut out the ideas that the students are going to explore. How do you get your students to connect in the classroom? As the Year draws to a close, it is hard to find motivation. Everything is winding down as the school year ends. 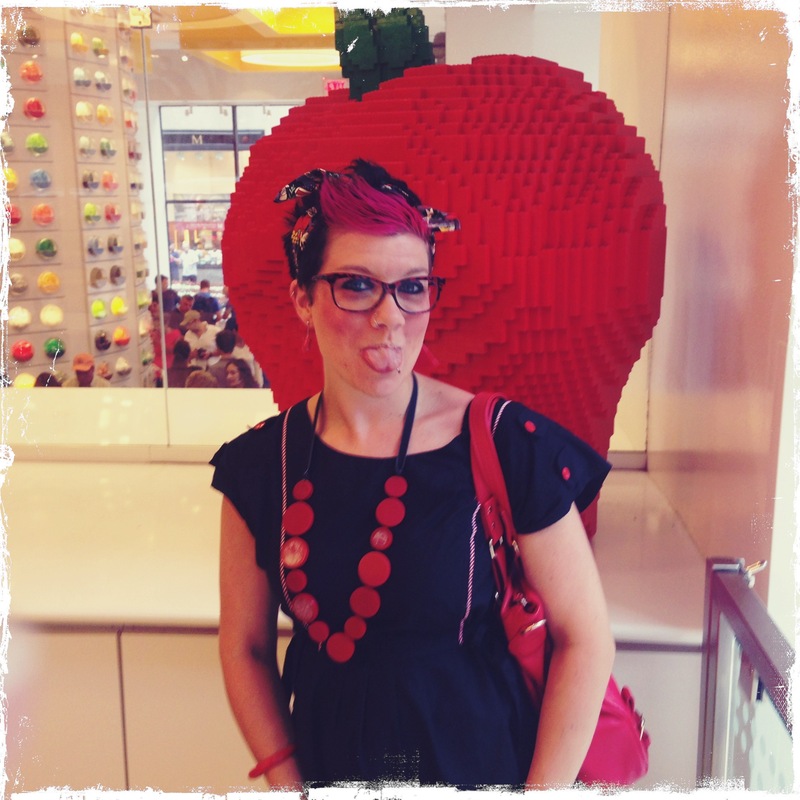 I believe that I am a dedicated teacher who is creative and passionate…. but I am feeling stifled at the moment! Perhaps I am on the verge of being bored even! (But the kids stop that from happening… ) This is not to say that I am not putting in as much effort to deliver exciting and engaging lessons, I just feel that I can do it really easily. But of late, I have been focusing on me. WARNING: Before you read on!! This is not a blog post about Exercise – bear with me! At the beginning of the Year I started regular training sessions with the Master Trainer – Josh. I also decided to try and eat better by ordering Lite’n’Easy for my school meals. The thing was, I started to noticed some results! I started to lost weight and was quite excited. So, I increased the amount of training sessions that I was doing and even did some of my own… Motivated by some great Fitness Apps. The thing about group fitness training, was that we were also having a lot of fun and becoming really good friend…. Stretching after training can often lead to fits of giggles! This was all well and good… I was happy! But I needed to set myself a goal – my friends wedding in Wales. I want to drop a dress size and treat myself to a new dress for the occasion. To do this, I started to do one-on-one Personal Training sessions along with Kate. These were more high intensity and Josh worked us hard – knowing that we both had goals we wanted to achieve! I was so excited and loved that I could buy a size 12 dress! Jude and I in Wales! Training continued, as it had been…. and I felt great. Then Josh told us about this great new eating program/lifestyle food plan/diet called Metabolic Jumpstart. The thing with me is, I don’t just half do things…. From the beginning of the year I had committed myself to changing my lifestyle. I wasn’t going to let myself down. To date, I have lost 7cm from my waist and am now a size 10. By now, if you are still reading, you are probably wondering what this has to do with my teaching. Well, for one, it has kept my motivated and has probably been the most exciting thing happening at the moment! (Perhaps sad, but true) I don’t want to think that I am someone who obsesses about weight or food, but it has certainly transformed my life. I have therefore been deconstructing what it is about this years achievement that has kept me motivated? What is the key ingredient that is missing from my teaching practice? Is there something from this experience that I can take away and apply to a new context…??? I thought about Jane McGonigal’s. I thought about her analysis that Reality is Broken and her definition of the four traits of a Game… and why these games make people happy…. My training and weight loss journey has had these traits!!!! That is why I have had success! And this is where my reality is broken, because the thing that I love the most – Teaching- is lacking in these things at the moment. I am trying to set my own GOALS to unlock new achievements… but I feel like I have already done this. I have tried to share in my achievements with the people around me, but they are not all VOLUNTARY PARTICIPANTS. It is hard to be goal orientated person with no goal…. 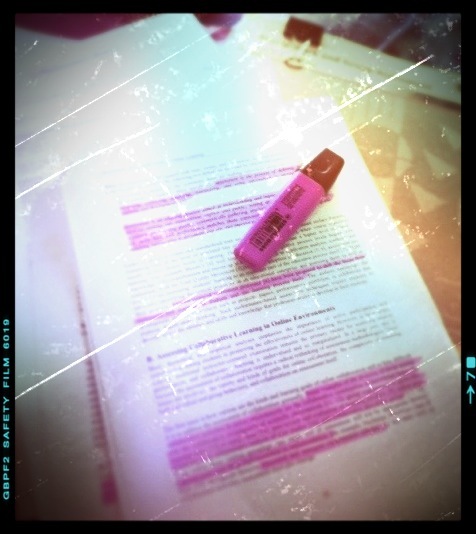 I want more…. I am seeking it… but don’t know where to find it. Teaching for me, needs a jumpstart! If you have any ideas where I can find it… Please help: Apply within!